Delaware was the first US state to legalize both online poker and casino games and the second to see poker go legally live online. It's a complicated and controversial issue in the US and Delaware is still only one of three states to have taken the plunge, putting the US' oldest state on track to become one of the country's friendliest for online gamblers. The bill passed in 2012 legalizing online gambling in Delaware covered online poker and casino games, making it the first state to offer legal licences to online gambling operators for both types of games. Nevada was the first US state to regulate online poker play, but Delaware was first in legalising online casino gaming as a whole. he Delaware Gaming Competitiveness Act made it legal to play the lottery, poker and video slots online under the regulation of the Delaware Lottery Office. users must be located within state borders. The operators' online platforms will be equipped with sophisticated geo-tracking software to prohibit users placing real-money bets from outside the state. The state's law means residents can legally access No Limit and Fixed Limit Texas Hold'em Poker and Pot Limit Omaha High/Low games, as well as casino games. It is hoped that the expansion of the casino industry in Delaware will help its casinos to compete against neighbours Maryland and Pennsylvania and boost the state's economy. Although Delaware was the first to pass legisaltion regulating online gambling, it was pipped to the post by Nevada in sending online poker sites live. Following the passing of the bill, the UK operator 888 Holdings and US operator Scientific Games were chosen to host the online gambling platforms in the state, but it's taken longer to send platforms live in Delaware than it did in Nevada, as there weren't already existing entities in place to take on the responsibility of monitoring the new online industry. Unlike Nevada, Delaware is also offering a wider range of games than poker and must also launch the online availability of tickets for the lottery at the same time, making it a more complicated and time-consuming case. The bill also received initial criticism that the state was too small with too few players to offer an effective 24/7 online gaming experience, like the far bigger Nevada. So, in 2014 Delaware combined with Nevada to create the Multi-State Internet Wager Agreement that will allow poker players in both states to play together. This is good news for online poker players as it will significantly expand the state's player pool and bring action to poker games such as Fixed Limit Hold’em and Seven Card Stud with at least 24 multi-table tournaments guaranteed daily. As is the case in other US states yet to legalise online gambling, there are several offshore operators that accept US players and will continue to be accessible to users from Delaware. However, in the wake of the new law it's hoped that players will seek the legal state option rather than taking risks elsewhere on unregulated sites. Arguably Delaware's most famous casino is offering a no-download online casino platform and a downloadable poker client for state residents. Users can enjoy a variety of games from blackjack and roulette to poker and video slots. However, the platform is not yet available on mobile devices. The casino's online platform, hosted by 888 Holdings, offers players the chance to bet in Texas Hold'em, Omaha, Omaha High/Low and Seven Card Stud poker games as well as slots and casino games. The Harrington Raceway and Casino has launched its online gambling platform, Harrington Gaming Online. Residents can play for real money on an instant play casino or download the poker platform. Harrington Gaming is also available on mobile apps. 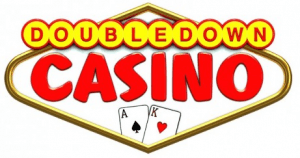 While the state-run online casino site is still being built, a free, legal online casino gaming platform called Double Down Casino has been launched through Facebook by slot machine company IGT. Free games offered on the site are available to users all over the world, but real-money games will only be legal for those residing in Delaware. Delaware does not allow online sports betting at its existing sportsbooks as this activity is currently outlawed across the US. This means that residents interested in wagering on sports online must seek offshore sportsbooks. Like their offshore poker counterparts, these sites are widely used but unregulated by the state of Delaware, meaning that bettors' financial information is relatively unprotected. The state's three legal land-based operators, Delaware Park Casino, Dover Downs Casino and Harrington Raceway & Casino, are regulated sportsbooks for those placing bets in person at the site. Placing online wagers on horses is legal on both a federal level across the US and a state level in Delaware. 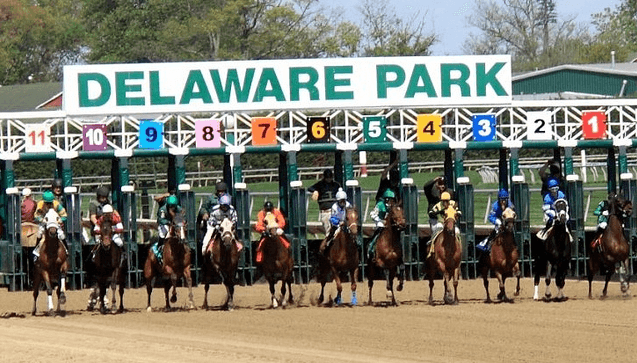 Residents are free to place online bets on races at their favourite Delaware tracks but the state's three venues do not currently host the service through their own websites. All legal online gambling in the state will be regulated by the existing Delaware Lottery Games body. Their website provides links to the state's three casinos as well as information on iGaming regulations and responsible play. Players interested in a self-exclusion programme can also apply through the website. A dedicated council also exists for those with gambling problems in the state. Users who feel that they are at risk can can look for information or advice on their website, or call their 24/7 helpline on: 1-888-850-8888. Online gambling may be well on the way here, but the picture is more complicated elsewhere in the US. California looks set to be the next state to legalize online poker and you can read up on it here.